CINCINNATI -- Mayor John Cranley believed he "inherited a bad chief" in Jeffrey Blackwell. Newly-released emails from Chicago Mayor Rahm Emanuel revealed an exchange between the two mayors in December 2015 as Chicago officials faced criticism over the fatal shooting of a 17-year-old by a police officer. Thousands of emails to and from Emanuel were released this week as part of a settlement with a government watchdog group over public records. "Keep black cop organization close. Follow their lead. They will probably push you left but will also know when to stop. In Cincinnati I inherited a bad chief who happened to be black. He had enormous vocal black elected and minister support. For 20 months he had the Sentinels (our black cop organization) support and so we waited. Finally Sentinels realized he was so bad that they agreed to go public if we fired him. We fired him, immediate black radio and electes were nuts, but Sentinels defended us and controversy died in 48 hours. In my opinion we survived this decision because of reservoir of respect for black cops by community." The emails shed some light on what was going on behind the scenes leading up to Blackwell's firing. Blackwell's family said Cranley's emails prove his termination was racially motivated, a claim Cranley called "totally ridiculous." 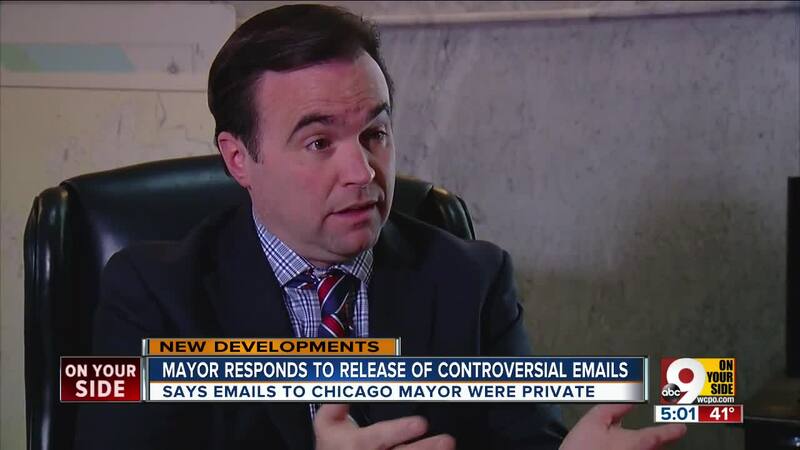 "In fact, if you focus on the emails, I'm telling the mayor to get closer to the black cops in his city, to work with the Justice Department, to do the things that we've done in Cincinnati to make a better police department," Cranley said. Just three months before he was fired, the Sentinels Police Association, an organization of African-American Cincinnati police officers, took a unanimous vote of confidence in Blackwell. 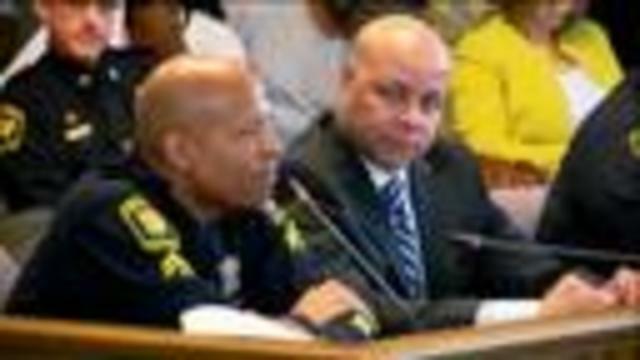 In a statement released Monday, Sentinels President Eddie Hawkins said the group "categorically denies partaking of any role, possessing any prior knowledge or standing in support of any government entity, elected official or individual a year ago during the dismissal of former City of Cincinnati Police Chief Jeffrey Blackwell." They also denied defending the decision to fire Blackwell or suggesting any "reforms" pertaining to him. "The Sentinels were in full support of former Chief Blackwell at the time of his dismissal," Hawkins wrote. Cranley told WCPO he misspoke in telling Emanuel the Sentinels supported Blackwell's termination; instead, he said, several well-known members of the organization favored the firing. "And I've already personally apologized to Eddie Hawkins and to Phill Black, who was president of the Sentinels at the time,” Cranley said. Hawkins is set to attend a news conference Thursday, organized by Councilman Wendell Young, to discuss Blackwell's termination. Also attending: the Rev. Bobby Hilton, president of Nation Action Agency; Robert Richardson, president of the Cincinnati NAACP; Councilwoman Yvette Simpson, Cranley's opponent in the 2017 mayoral race; and Dwight Tillery, a former Cincinnati mayor who now leads the Center for Closing the Health Gap and Black Agenda Cincinnati. "There is absolutely no question in my mind that Chief Blackwell was fired unjustly and Mayor John Cranley was the principal leader of his termination," Young said in a statement. Simpson, meanwhile, said she believes Cranley was behind a two-year campaign to undermine Blackwell. "These emails show (Blackwell) was never given a chance to succeed," a statement from Simpson's campaign said. "This is not leadership, it is divisive politics that stalled our police department for two years." At the time of Blackwell's dismissal, City Manager Harry Black wrote that morale in the department had sunk to "an unprecedented low level" under Blackwell. After Blackwell was fired, he had considered suing the city. He suffered a stroke in September. 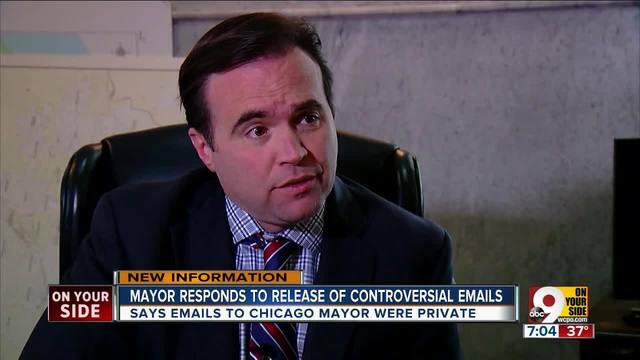 In the emails to Emanuel, Cranley also recommended welcoming any federal officials sent to monitor the department, referencing reforms in Cincinanti related to the Collaborative Agreement. "You establish that feds are making recommendations about policies, not engaging in a witch hunt of the past," Cranley wrote. "This is key. Inviting them in with open arms will make it a lot more likely that you can limit this scope."